Psychiatrist in Pune , Dr Neville Misquitta (MD Psychiatry). This is a psychiatrists take on Pune occurrences. Mental health issues reflect underlying universal problems that keep some of us from a meaningful life. At Pathfinder Clinic we make the link. Alzheimers dementia is usually diagnosed when memory loss and behavioural symptoms are readily apparent to their caregivers. At this stage the primary concern is to slow further deterioration. Caregivers at the clinic have often wished they could have looked into the future. Many have a history of Alzheimers disease in their elderly and wondered whether there was an earlier way of knowing. New knowledge gives us hope in this direction. We now have the beginnings of a time line in the countdown to dementia. It is now possible to trace the beginnings of Alzheimers Dementia up to 20 years before its manifestation with memory loss and impaired function. Beta-amyloid levels in the cerebrospinal fluid (CSF) begin to drop 20 years before the onset of dementia. Alzheimer's Disease is characterized by toxic deposition of specific beta-amyloid (Aβ1-42) plaques around the brain cells. In normal aging beta-amyloid continues to increase in the brain fluid. 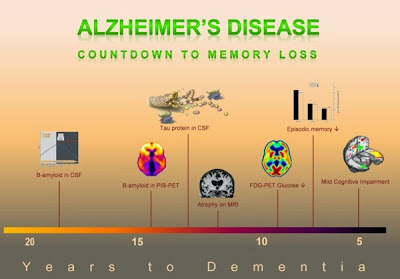 However, in Alzheimers Dementia brain fluid beta-amyloid is markedly reduced.This is due to reduce clearance of beta-amyloid from the brain to the blood and CSF, as well as increased beta-amyloid plaque deposition in the brain. 15 years before dementia onset, beta-amyloid deposits can be detected by amyloid imaging PET scans. The best known amyloid PET tracer is Pittsburgh Compound-B (PIB). PIB retention is found in over 90% clinically diagnosed AD patients. Tau protein accumulation inside the brain cells (neurons) is the second hallmark of Alzheimer's disease. Microtuble associated protein tau (MAPT) in the brain fluid (CSF) increases with age. In Alzheimer's disease tau levels are markedly increased and reflects damage to the neurons and axons (brain cells). High CSF tau level differentiates mild cognitive impairment (MCI) from that which progresses to Alzheimer's disease. Shrinkage or atrophy of the brain becomes detectable by MRI. This atrophy is visible in brain structures that are essential for the conscious memory of facts and events. These areas are located in the brain’s medial temporal lobe. This shrinkage is apparent on using a visual rating system which also measures its severity. The more extensive the brain atrophy, the more advanced the clinical stage of Alzheimer’s disease. PET Scan (FDG-PET) changes in the way the brain uses glucose are apparent 10 years before dementia. 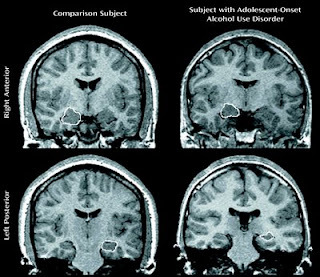 These PET scan changes correlate with progression of Alzheimers disease. Episodic memory loss begins at this stage. Episodic memory loss is the inability to learn new information or to recall previously learned information. It manifests as forgetting of recent events and conversations, repetitive questions, repetitive retelling of stories, forgetting the date, forgetting appointments, misplacing objects, losing valuables, and forgetting that food is cooking on the stove. The formation of new episodic memories requires intact medial temporal lobes of the brain; these are progressively destroyed in Alzheimers disease. Mild cognitive impairment (MCI) deveelops 5 years before dementia. People with mild cognitive impairment have problems with thinking and memory loss. Mild cognitive impairment does not interfere with everyday activities. Persons with mild cognitive impairment are often aware of their forgetfulness. Preventive therapies for Alzheimers disease (AD) require the development of biomarkers that are sensitive to subtle brain changes occurring in the preclinical stage of the disease. Early diagnostics is necessary to identify and treat at risk individuals before irreversible neuronal loss occurs. Duara R, Loewenstein DA, Potter E, Appel J, Greig MT, Urs R, Shen Q, Raj A, Small B, Barker W, Schofield E, Wu Y, Potter H. Medial temporal lobe atrophy on MRI scans and the diagnosis of Alzheimer disease. Neurology. 2008 Dec 9;71(24):1986-92. Mosconi L, Berti V, Glodzik L, Pupi A, De Santi S, de Leon MJ. 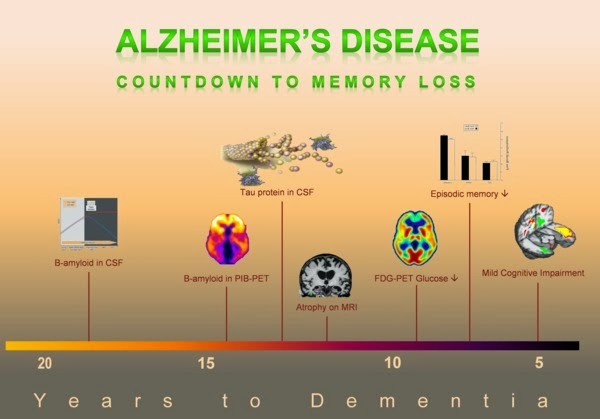 Pre-clinical detection of Alzheimers disease using FDG-PET, with or without amyloid imaging. J Alzheimers Dis. 2010;20(3):843-54. Cross-Dressing - Prevention by Parenting?